Scuba diving is fascinating and many people try it out simply because it’s magical to be under the waves in an environment that gravity does not seem to know. The sensation that one feels there is unique. It is a universe which has no equivalent on earth and is certainly worthwhile to visit. However, despite the charm of diving, not everyone has the same ease under water and sometimes, experiences underwater are not as magical as they were made out to be. Despite the challenge that diving represents for some, it’s quite possible to develop comfort underwater and learn to feel at home. As humans, we are land mammals, and it’s normal to feel more comfortable on land than underwater. In addition, our need to breathe and our lack of gills seems to actually justify this feeling. But we must not forget that we have a particular link with the aqueous element, after all we develop before birth in this environment. We have evolved with adaptations that have helped us survive over time, and stress is part of it. In everyday life, we feel it and it can be useful, or not, in various situations. When it comes time to get into the water, some people may feel this stress and therefore feel threatened by the water. It's perfectly normal, the unknown will always have a disturbing effect on humans, but it is not because this stress is present that we should give it reason to take over us. You have to give yourself a chance to tame the water. Initially, the feeling of depending on a regulator and a bottle of air to breathe by the mouth, which can add to the discomfort of scuba diving, can be scary, but this is the environment you will get used to. It is quite normal to feel this and that is why scuba diving courses exist, to teach students to feel comfortable underwater and to learn to enjoy diving without being bothered by the technical aspects. Emptying the mask is one of the most troublesome exercises whilst diving because it involves having water in your mask. Many are not comfortable with this and are afraid that water will enter their nose. There is nothing dangerous about removing your mask. The only risk you take is seeing better! Just because you don’t have a mask on your face, it won’t mean that water will come into your nose. Physiologically, even if water entered your nose, it would not change anything, as long as you have your regulator in your mouth enough air in your bottle, everything is fine. In the worst case, you’ll have a little water in the sinuses and you will hardly realize it. As mentioned earlier, stress is natural and is one of the reasons why humans have managed to evolve and survive many situations. It is therefore perfectly normal to feel stressed when diving, which requires adaptation and represents a certain “letting go” of the consciousness of being underwater, several meters down, and dependent on a regulator connected to a bottle of air to breathe. Stress management involves identifying the problem. Knowing exactly what creates this oppressive feeling helps to analyze the situation and then to rationalize it. It is the role of the instructor to accompany the student in their adaptation to the underwater world and help them to rationalize their fears so that they become more comfortable underwater. The practice in the swimming pool is used exactly for that since it is really a process of adaptation. Nobody is perfectly at ease during their first dive. There is always an element which requires more effort and is not natural. Breathing, for example, is far from natural by mouth and ventilation is different from that on earth. Often, we can feel a lack of air volume when we breathe, but it is only psychological because the air is compressed and we feel the need breathe in more. While stressed, the respiratory volume used is greater than when one is relaxed which does not help the phenomenon. Hence the importance of talking with your instructor and letting them help you during your class so that you can be as comfortable as possible underwater. 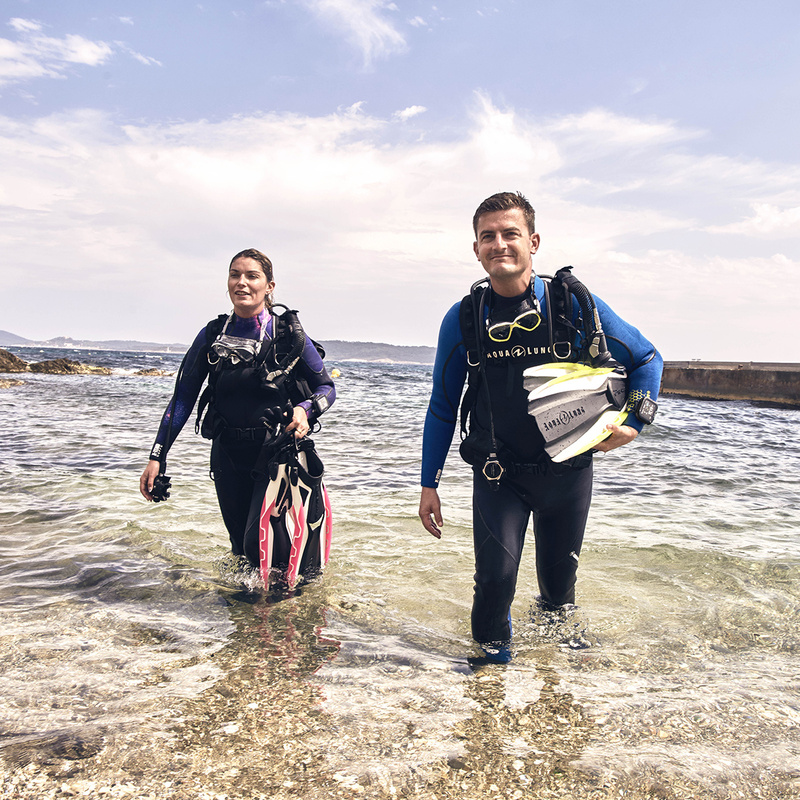 As divers, we have to adapt to both a new environment and the technical aspects required. No diver is born with perfect ease underwater with a regulator in the mouth. It is something that works and develops, and it is the role of your instructor to accompany you through it all. 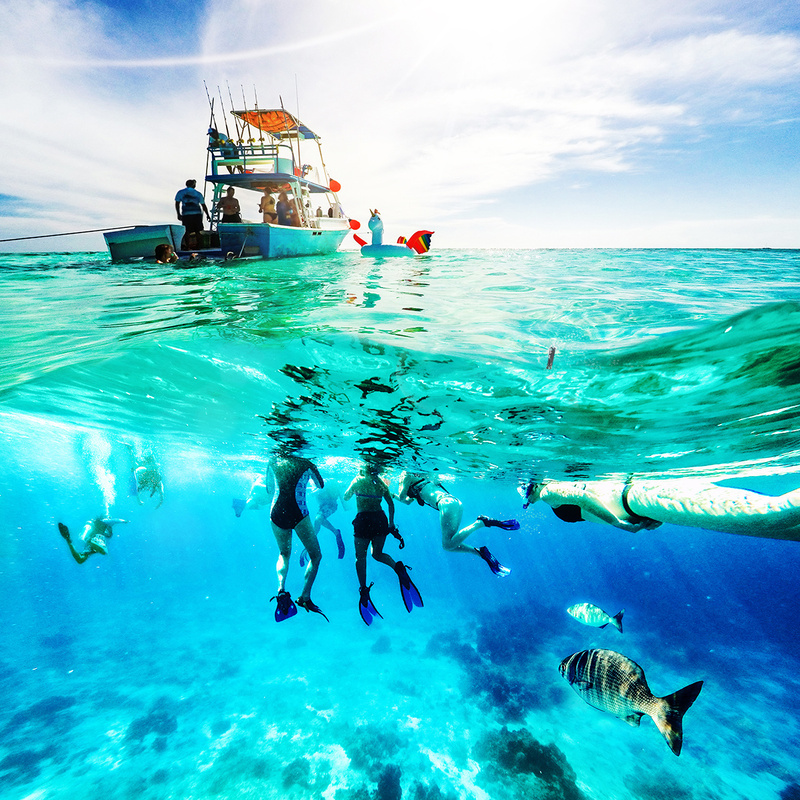 Scuba diving is fascinating and is suitable for everyone! You only need to give it a chance.